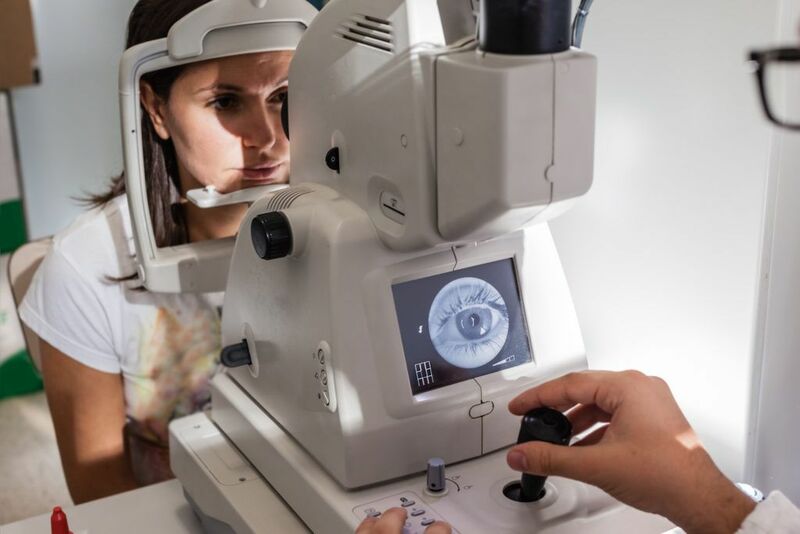 There are certain pieces of equipment that can be used in addition to the tools regularly used in the typical eye examination to go above and beyond diagnosing and monitoring certain conditions. A picture is worth a thousand words, and our anterior and posterior segment cameracan be used to document a multitude of diseases and injuries and how they progress and resolve. Snapshots in time saved in your electronic chart, we can follow how well an ulcer heals and how diabetic retinopathy resolves with proper treatment. Certain problems with eyesight can be better served with contact lenses rather than glasses. You’ve probably noticed certain glasses make peoples’ eyes seem much smaller or larger than they are. These minification and magnification effects can make it difficult for people to see due to the thickness of the glasses lenses. Others may have corneal diseases or problems that make vision with glasses and even soft contact lenses challenging. Specialty contact lens fits can be achieved with what’s called a corneal topographer. It analyzes the surface of the cornea to help the doctors achieve an ideal contact lens fit as well as monitor the progression of certain diseases. Our vision is so much more than how sharply we can read the “big E.” Imagine being able to see a crisp 20/20 row, but only while looking through a paper towel tube. Peripheral vision is so important to our daily lives: driving, playing sports, and even simply navigating through crowded areas. With our visual field analyzer, we can diagnose, document, and treat conditions that affect your peripheral vision.